The curved and folded layers visible in the rocks of Hamersley Gorge were laid down by and primordial sea that once covered the land that is now the Pilbara Region. As we descend into the gorge we travel back through the story of the Earth written in the stone on the walls of the gorge. 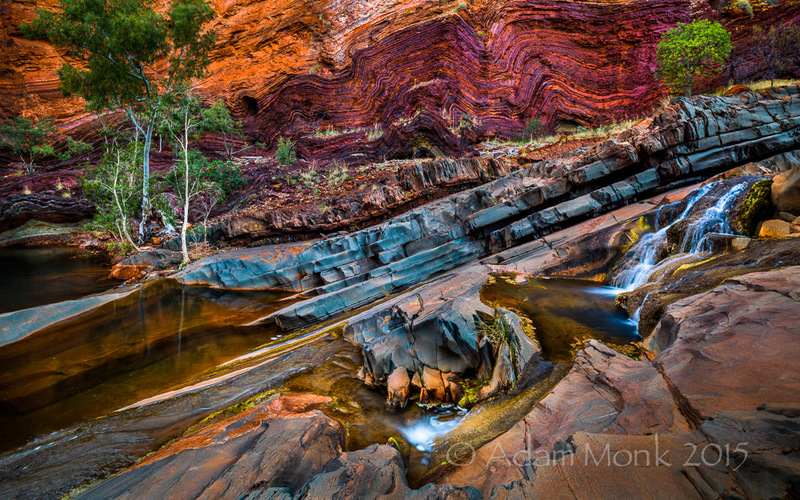 Hamersley Gorge, Karijini National Park. Pilbara Region of Western Australia.